A terrier dog (named Guerriere) belonging to Lieut. [Beekman Verplank] Hoffman [the ship’s Second Lieutenant], from the very great sagacity with which he was gifted had become a great favourite with all hands officers and men. So a display of almost natural [i.e. human] faculties did he exhibit that many were of the opinion that he would talk were it not that he feared he should be set to work, be the talking part as it may, he frequently did work, for whenever all hands were called to about ship he was sure to pay his respects to the Captain of the mast who placing the end of the weather fore brace in his mouth he would lead it along in as perfect order as any two legged sea dog and perform various little duties about the mast full well. Never would the drum beat to quarters but with every token of the greatest satisfaction he would repair to the taffrel [sic], and there remain until it again beat for boarders, firemen, &c when he would always go with them and when they returned to their quarters or guns he would return to his former station. The USS Constitution Museum will be celebrating Guerriere’s birthday (observed) on August 24, 2012. Come to the Museum for some fun family activities, including games, crafts, and birthday cookies. If you want to bring your very own version of Guerriere home, be sure to visit the Museum’s store. And if you want to try your hand at following Guerriere around Constitution‘s decks, have a look at the Museum’s new interactive website, A Sailor’s Life for Me! 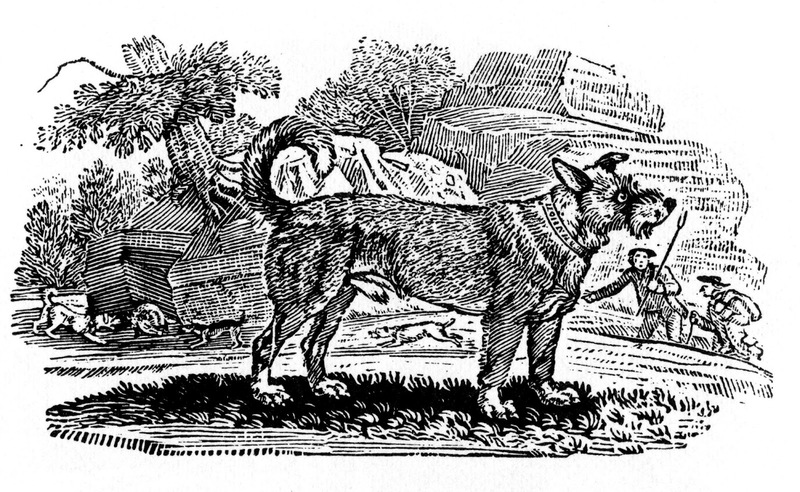 Terrier, from Thomas Bewick’s A General History of Quadrupeds, 3rd ed., 1795. According to the accompanying text, the terrier “is the determined enemy of all the vermin kind; such as Weasels, Foumarts, Badgers, Rats, Mice,& c.,” making him a perfect shipboard companion. Aviation Publishing Company of America, Inc., 2000), 19-20. Niles’ Weekly Register, 24 June 1815.